Last month, we discussed how the new API FA-4 lubricants meet and exceed engine protection requirements specified by engine manufacturers and the lubricant industry. The most notable highlight was that API FA-4 lubricants must pass the same engine durability testing as their more traditional API CK-4 counterparts to receive certification. With field testing beginning back in 2013, Lubrizol has observed similarly strong engine protection with over 50 million miles of operation accumulated on FA-4 technologies. Although broadening backward compatibility is undetermined, it is expected that OEM adoption of FA-4 will continue as new engines are manufactured due to the fuel economy benefits. This move to lower SAE viscosity grades continues to offer fuel economy benefits to today’s fleets. However, as discussed in the first article of our three-part series, this is only one engine lubricant lever that can be pulled to deliver trucking fleets fuel savings. 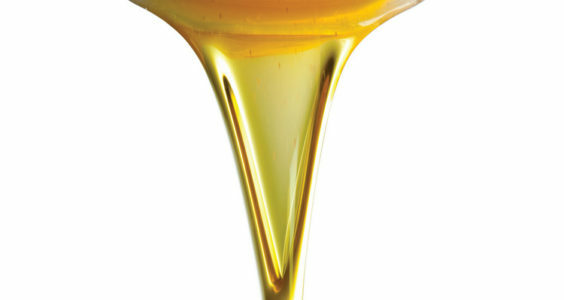 The other is using FA-4’s lower high-temperature, high-shear (HTHS) dynamic viscosity oils. A lubricant can be formulated to the lower end of the HTHS range within a given grade to offer even greater fuel economy benefits. Heavy-duty fluids greater than 3.5cP would fall into the CK-4 range. Those between 2.9-3.2 cP could qualify as FA-4. Though both ranges could be classified as 5W-30 or 10W-30. HTHS viscosity indicates the engine lubricant’s resistance to flow at elevated engine operating temperatures in tight tolerances between rapidly moving parts. Therefore, by reducing the HTHS viscosity a lubricant can slightly reduce the drag between these moving parts and limit the parasitic losses of the engine. When comparing within a common grade, such as moving from CK-4 to FA-4 within 10W-30, a fleet can expect to see an additional .50% to .75% fuel savings. If you combine that savings with a shift to a lower viscosity grade, such as, 15W-40 CK-4 all the way down to 10W-30 FA-4, one could expect to see up to 2% total fuel economy savings across the fleet, depending on engine type and operation. A 2% fuel economy savings can greatly impact a trucking fleet’s bottom line. The example in the graph below is representative of 2,000 trucks with a driving average of 100K miles/truck each year. In this example, based on observed fuel economy benefits of FA-4, a fleet can save up to 500,000 gal. of fuel per year, ultimately adding more than $1 million to their bottom line. FA-4 oils are still a niche product today, making long-term pricing unknown until the market begins to settle. But, even at a significant premium over the CK-4 alternative, the returns would be very strong. Of course, complying with engine manufacturer’s recommendations and maintaining equipment warranties is critical for fleets. To ensure FA-4 oils deliver equal durability as their CK-4 counterparts, tens of millions of dollars and years of development, have been invested to keep trucks up and running on the road. However, some diesel equipment, particularly manufactured before 2010MY (irrespective of the OEM), were not designed to be compatible with lighter viscosity oils. For fleets that predominantly use engines compliant with new FA-4 oils, the strong fuel economy benefit of these lubricants could offer a significant savings. To learn more about FA-4 and how it could benefit your fleet, contact your engine manufacturer or oil provider.